This is from the church of the San Domenico, which is renowned for its Arca di San Domenico. I will have to admit that I failed to observe the greatness of the big work. But I noticed that a group of people were let inside and walked around the structure and they were taking pictures on the back. Not really knowing what it was, I also shoot a picture. 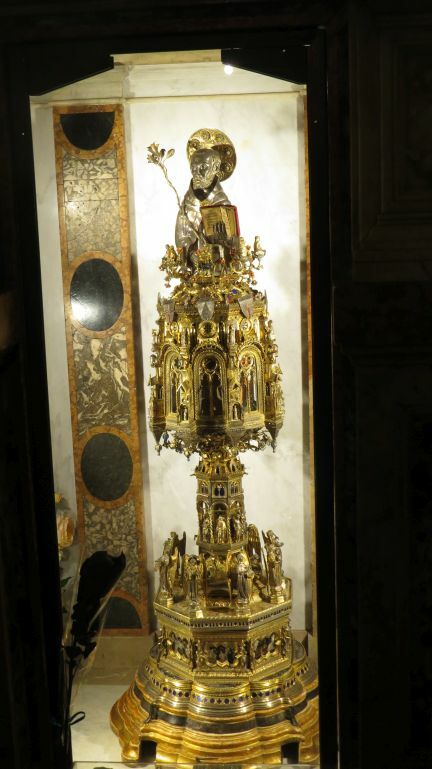 It appears that this is the reliquary of Saint Dominic.